Maura joined Synergy Global in 2016 & brings over 30 years’ experience in strategy, policy, reform & helping people grow into leaders. She offers insightful approaches to complex problems & partner with clients to improve their effectiveness. She has deep experience at Board/Exec levels & corporate governance including Strategic Planning, Policy Development, Social/Capital program design & administration, Regulation, Risk/Audit, & governance of Strategic finances, high level projects & contracts. Maura has managed $150M+ budgets, negotiated & oversighted $1B+ budgets & delivered high profile projects in challenging areas, most recently as Deputy Director-General, Strategy & Policy in NSW Family & Community Services. Since leaving the Public sector, she has been working as a consultant with Private, Public & NfP organisations to formulate strategy, strengthen governance & work in collaborative ways. 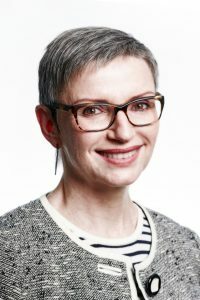 Maura has successfully led teams in managing reform, change & innovation across a broad range of government portfolios including social & affordable housing, homelessness, disability, child protection, population group policies, whole of government service delivery & environmental & natural resources management. Her work in these fields has been recognised through a plethora of NSW Premier’s Awards including the highly sought-after gold award for her work on the Housing & Support Initiative, a joint project between Housing NSW & NSW Health. A creative & visionary leader/adviser, who also works from a sound evidence base, Maura has influenced & formed trusting relationships with a wide range of stakeholders to make change happen. She started at the University of Sydney as an associate lecturer in Genetics, but quickly moved into Communication, Policy & Strategy in Public Sectors, initially in natural resources management & environment, through government service delivery to a wide range of human services. Her goal is to assist clients to lead change successfully by having clear end goals, forming trusting relationships, & being flexible & responsive to opportunities as they emerge. She works with leadership teams & boards as well as individuals. She is passionate about leading transformational change to improve systems & services to leave a positive impact on peoples’ lives, the environment & economic sustainability. Maura is living in Sydney. She loves to travel & read widely, practice Pilates & wellbeing – she will never stop challenging herself to keep learning. She is a non-Executive Director on the House With No Steps Board.